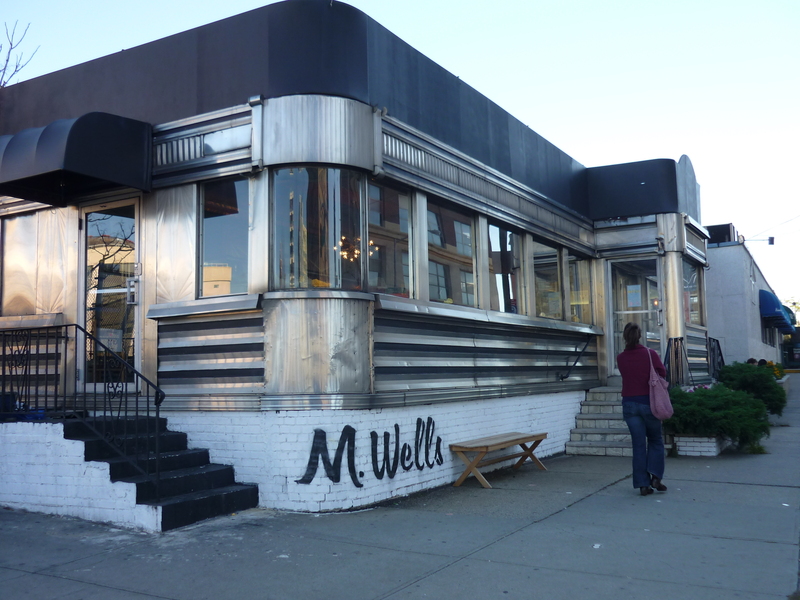 Hand to Mouth – M. Wells Diner, A Little Piece of Montreal in Long Island City or Maudite, Cette Tourtiere est Vraiment Hot! 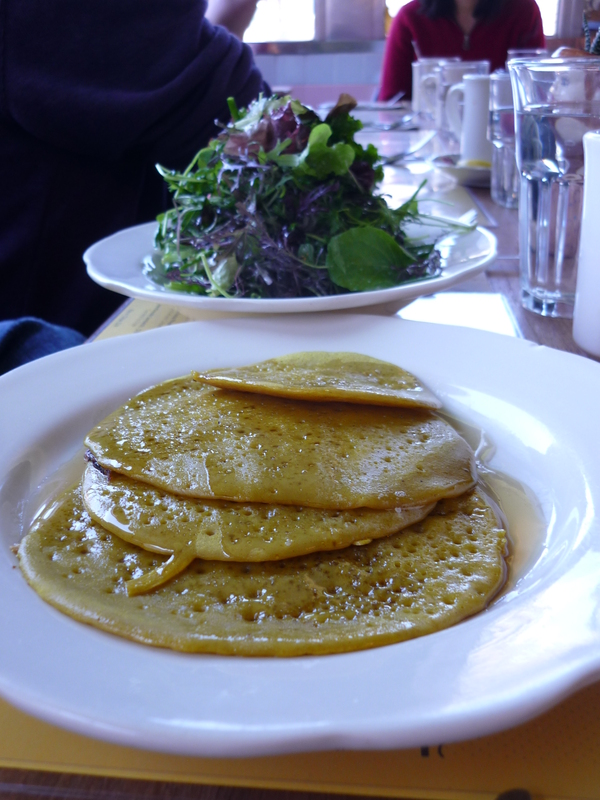 If you’ve ever wondered what breakfast or brunch at P.D.C. would be like, this is your place. It’s super rich, super delicious and really not very pricy. Now, it should be noted that Julia wasn’t able to make it this trip but she has nonetheless graciously agreed to participate, saving me from having to do a Glenn Gould-style “Matt LeGroulx interviews Matt LeGroulx about what Matt LeGroulx ate” thing. Matt: I am incredibly jealous that New York gets to have this place and we, the rightful owners, don’t. Julia: I am incredibly jealous that you got to eat it at all. Especially since the time we tried together, it was closed for the holiday, and all I could do was peer sadly in the window. Matt: Yeah, I was pretty bummed. At least I had that bag of smoked fish from Acme to keep my company. Julia: And it was good company. Matt: Indeed. But you know what would have been better company? 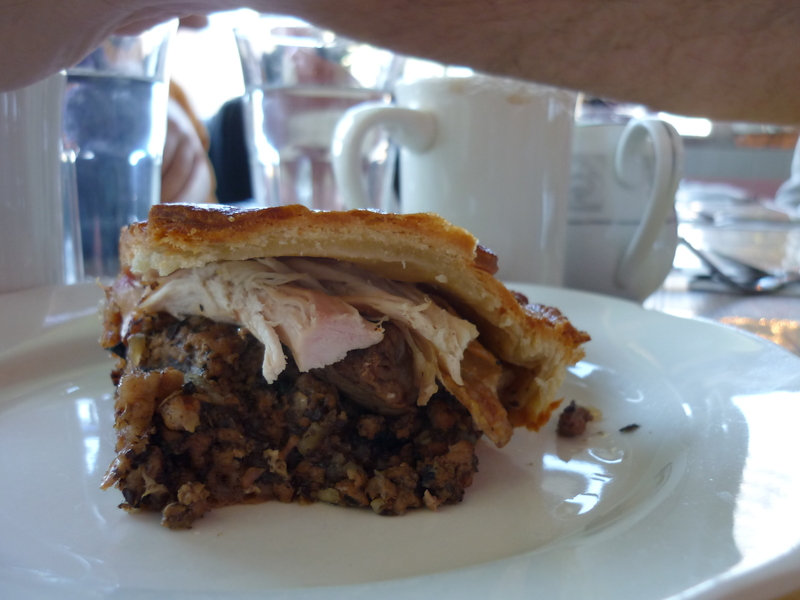 Tourtiere! Julia: You’re right. As loving as the embrace of a smoked fish can be, that looks like something I just want to dive into. Matt: Well, you’re being a good sport. A gooder sport than I thought you would be. Julia: I’m hiding the fact that I’m very, very angry. And very, very jealous. Matt: Alright, alright, calm down. No need to fly off the handle. Hey, you know what else was great? The Egg Tomato Pot. Julia: MMMMM. Is that egg cooked right in the mess of stuff? I love eggs cooked in messes of stuff! 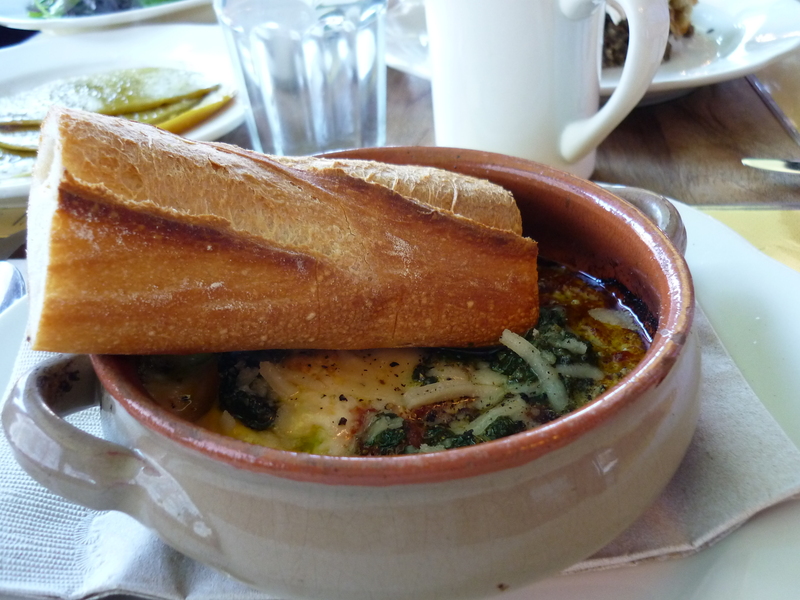 Matt: Yup, just some egg baked in a pot with tomato sauce, pesto, onions, some other stuff and served with a piece of baguette. This one is fairly easy to replicate at home, too. Julia: Yeah, you made us a similar dish for breakfast after you got back from New York, if I remember correctly. Julia: But this isn’t about your cooking. Tell me what else I didn’t get to eat. Matt: Well, Ol’ Hugue was whippin’ everything up back there his very self. 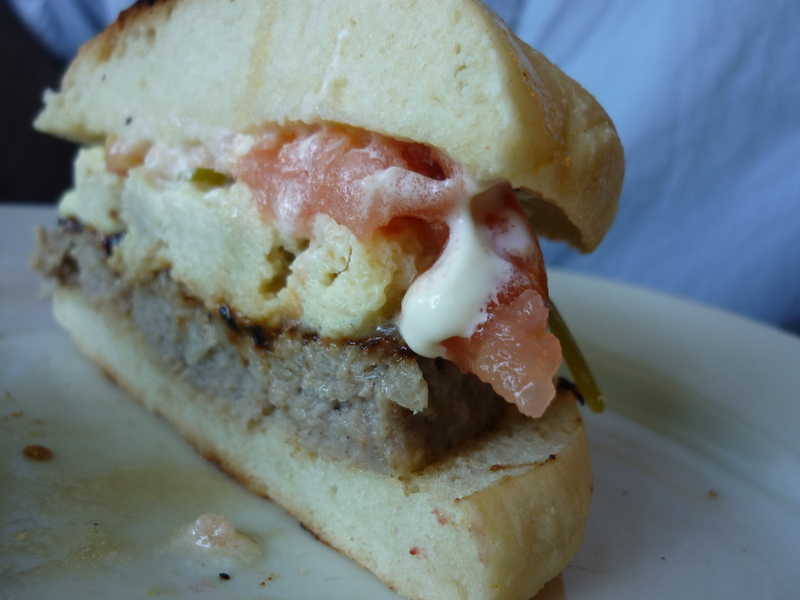 Stuff like this obscene sausage sandwich. Matt: That’s sausage, egg, tomato and home-made mayo. Oddly enough it was my least favourite dish. Julia: You’re a person who doesn’t really love mayo, and who spells things quaintly. Matt: Listen, I understand that you’re upset that you didn’t get to go to M. Wells Diner in Long Island City, Queens, New York right off the Hunter’s Point stop on the 7 train but you don’t have to be an Mingy Mindy. Julia: Actually, I did get to go. 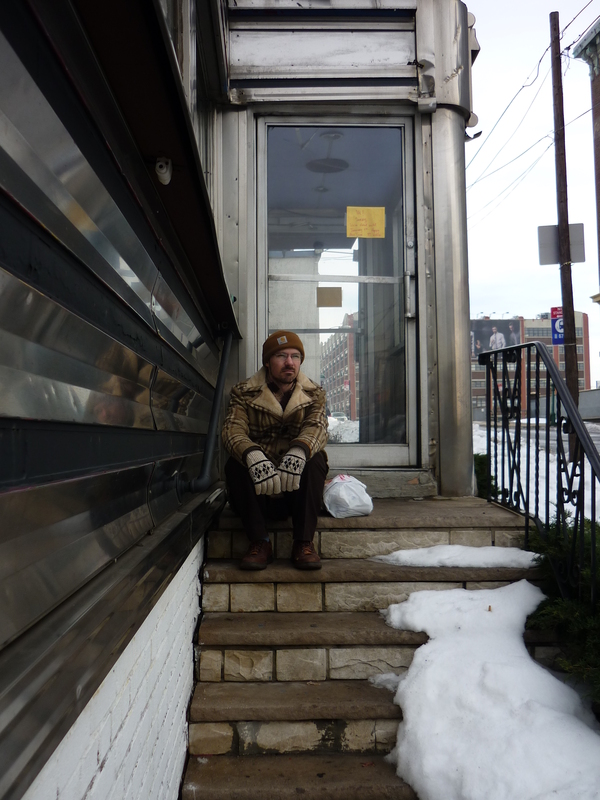 I sat on the steps in the slush. There was a lovely view of the Chrysler building, and we had a bag of cold smoked fish that weighed about 10 pounds, and I hurt my toe. Matt: And oh my god, that pie! Matt: Pumpkin pie. 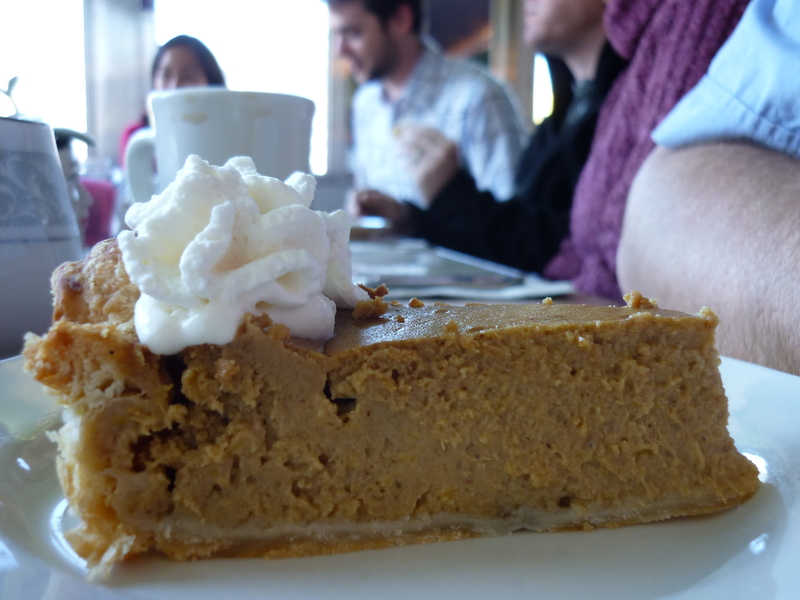 Really, really good pumpkin pie. Julia: You’re a really, really good pumpkin pie. Matt: And we can’t forget the Elvis Muffin. Matt: Or was it the King Thing? 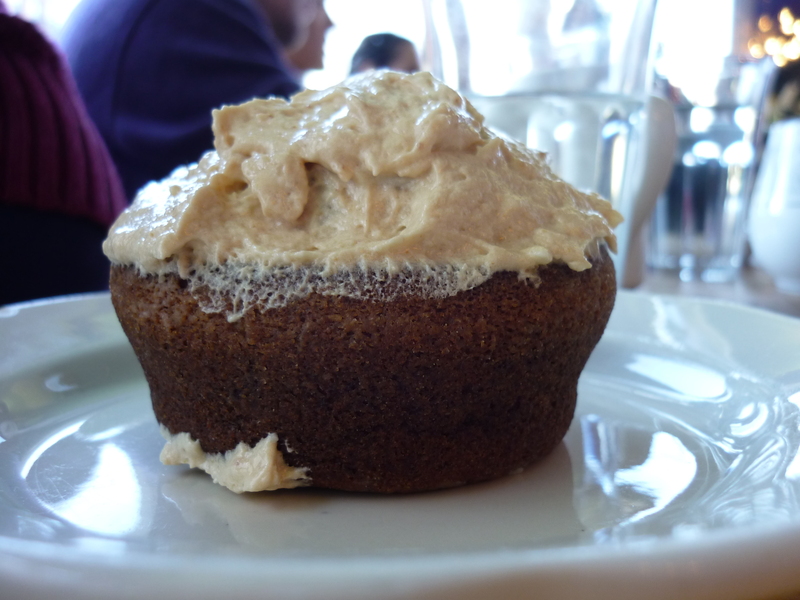 No, wait, the Graceland Cupcake, a carrot cupcake with banana frosting. Or was it a banana cupcake with peanut butter frosting? Julia: I’m going to go eat peanut butter with a spoon. Matt: Oh my god, I almost forgot the buckwheat pancakes! Julia: I’m going to go eat the maple syrup with a spoon. All of it. 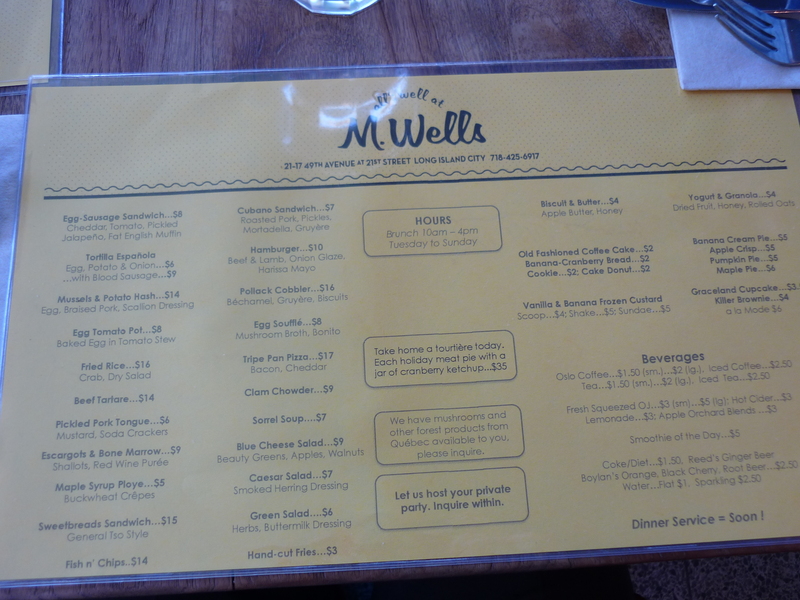 Matt: Oh my god, I almost forgot the Green Salad with buttermilk dressing, also seen in that last picture! Julia: Oooo, I love buttermilk dressing. Who knew butter and milk tasted so good mixed together? Matt: Ol’ Hugue, that’s who. I bet he mixes it his very self right back behind the counter! Julia: Hey, we have butter! And milk! Let’s go make some buttermilk dressing! Julia: Know about how I’m full of great ideas…? Matt: I’m sure I have no idea what you’re talking about. Matt: Oh my god! That’s it, that’s everything I ate. Julia: This homemade buttermilk dressing I’m eating right now is delicious!